EghtesadOnline: To help uphold consumer rights and some prodding from the Iran Information Technology Organization, Samsung has revised its smartphone warranty conditions. As is customary with the South Korean tech giant, Samsung offers 12-month warranty on handsets it sells in Iran. However, as per previous terms of service, if a customer installed an application on the smartphone not published on international app stores, warranty of the device would be terminated. Following the new rules, if a mobile phone is harmed due to installation of any locally-developed application, the device warranty would still be valid. However, Samsung can charge the customer for damages caused by the app. Due to the new US sanctions, many Iranian firms have been barred from offering their applications through international app stores like Google Play and Samsung’s Galaxy. Furthermore, on several occasions and without prior notice, Google has removed applications of Iranian developers published on its app store by citing the US restrictions. It was apparent that he was in support of the local app stores as a vanguard against US bans and unprofessional restrictions. Samsung has a 53% share of Iran’s smartphone and tablet market. “Considering Samsung’s significant share in Iran’s market, is was natural that we ask the company to revise its terms of service. This is the norm in most countries and companies offer special local terms of service based on market conditions,” he said. Nanakar says several meetings were held between envoys from his Organization and Samsung managers in Tehran with help from the Iran Consumer and Producer Protection Organization. In one of the meetings, Samsung presented a 40-page report listing all the bugs and errors of Iranian mobile apps published on local Android market Cafe Bazaar. The report said basic programming rules and standards are not upheld in many of the apps published on Bazaar, stressing that the coding bugs can harm the handsets. With talks having reached a deadlock the IT Organization tried to find middle ground. 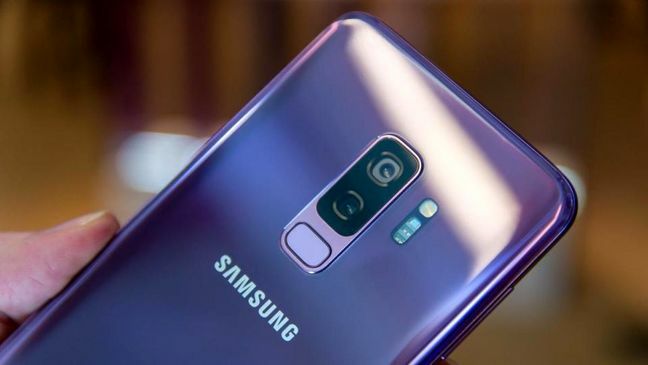 Confirming the revision in Samsung terms of service in Iran, the company’s public relations manager Masoud Fayazi told the Tribune that upholding consumer rights and protecting handsets against harmful applications is on the agenda of his company. “As a matter of policy we recommend users download and install apps published on globally trusted stores like Google Play and Samsung’s Galaxy Apps. To better cater to the needs of customers, Samsung has set up special tech consulting centers in Tehran, Isfahan and Mashhad that provide free service,” Fayazi said. He castigated Cafe Bazaar managers for their inaction and disregard for users’ security and privacy. In the last fiscal that ended in March 2018, Iran’s mobile phone market was worth 17.72 trillion rials. At that time the greenback was worth 40,450 rials, which means the local cellphone market almost a year ago was worth $438 million. Samsung’s market share (53%) reportedly was worth $220 million. Data provided by the Islamic Republic of Iran Customs Administration shows in fiscal 2017-18 more than 3.22 million mobile phones worth $518 million were imported. The average price of a handset was $160. The main source of imports was the United Arab Emirates with 73% share followed by China (17%) and South Korea (9%).